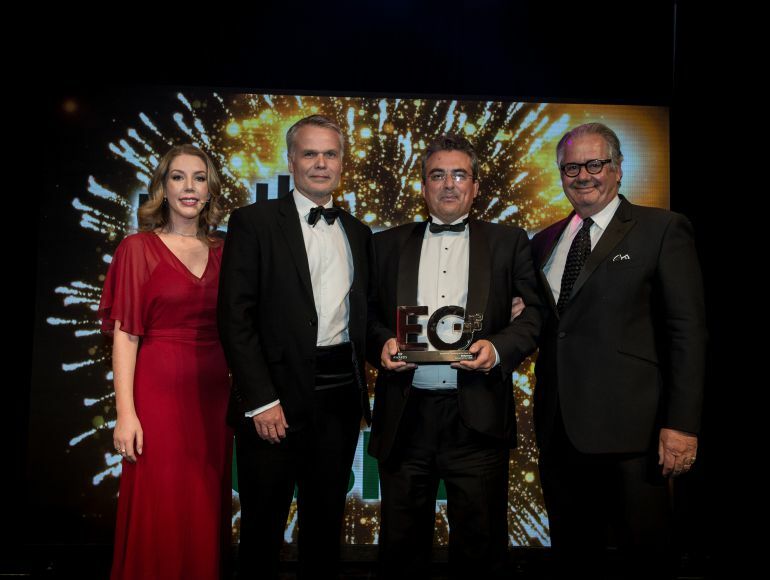 Ballymore triumphed at the prestigious EG Awards last night by walking away with the coveted Residential Company of the Year Award for its portfolio of new homes at Royal Wharf, London City Island, Wardian London and Embassy Gardens. Ballymore prevailed over four other national companies for the award, sponsored by CBRE, at the Estates Gazette Awards 2017, announced at a gala awards dinner at the Grosvenor House Hotel, London. The highlights of the past year come mainly from Ballymore’s creation of new communities at Royal Wharf, London City Island, Wardian London and Embassy Gardens – where £2.6bn of sales were collectively secured. Ballymore’s desire to fuse culture and community is also very apparent; partnerships with Frieze London, Bright Young Things and the London Restaurant Festival were established in 2016. It is Ballymore’s focus on innovation that leads to winning prestigious awards like this one. 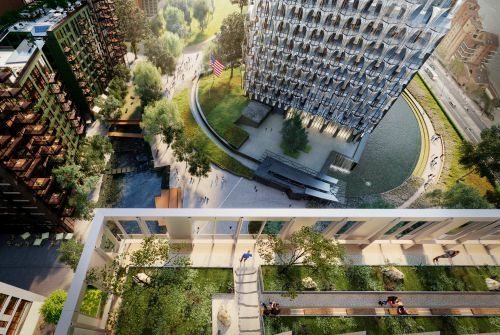 An example of this commitment to innovation is the Embassy Gardens scheme – an imposing new neighbourhood soon to be home to the new US Embassy along with the much-heralded Sky Pool – an elevated swimming pool suspended between two buildings. Another significant milestone for Ballymore was the opening of the first phase of London City Island. The 12-acre site offers 1,700 new homes, retail and restaurant space – including the Ballymore-run Island Grocer - artist studios and exhibition space. Creativity and culture dominate the Island; The London Film School, The Line – east London’s contemporary art walk – English National Ballet and English National Ballet School are all confirmed tenants.